ijoy diamond PD270 is newest vape atomizer kit, which includes diamond vape mod and captain x3s tank, powered by dual 20700 batteries and max output 234watts, comes with 18650 adapter, can be powered by 2pcs 18650 batteries too. 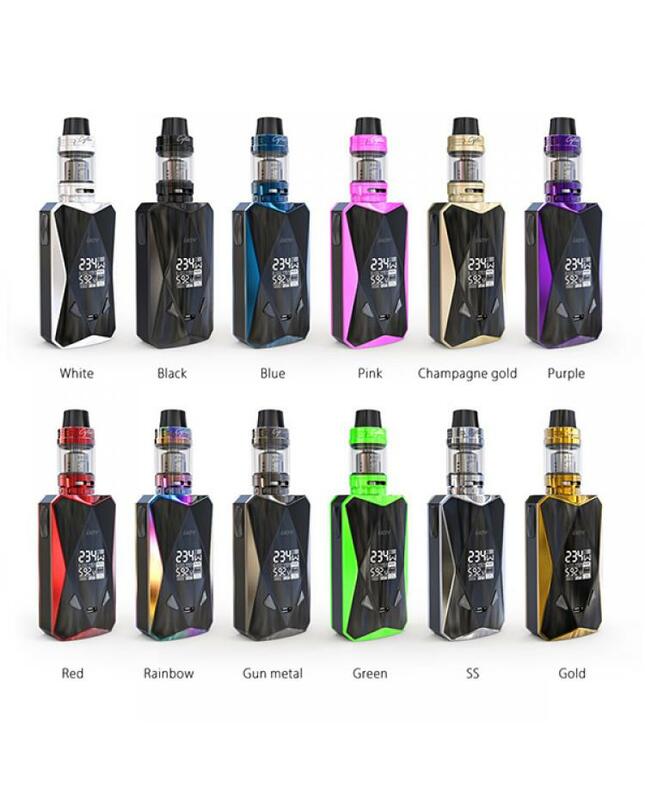 this new ijoy vape kit has totally 12 fashionable colors available, vapers will get the colors you prefer. the ijoy vape mod with a newest and powerful chipset which designed by iwepal, the appearance inspired by the multi-faceted diamond cutting technology, the screen itself blends into the panel, giving the device a unique and classy look. the side with large size firing button, allow vapers to finish the operation easily. the diamond PD270 comes with instant fire speed, large OLED screen, NI, TI and SS temperature control support, suitable for large captain x3s tank. the centered 510 suitable for large diameter tanks max to 33.5mm. the new ijoy captain tank can hold 4.2ml e juice, with top sliding refill design and large airflow adjustable slots at the bottom, coming with three powerful replaceable cores, which allow the tank can work at 110watts, will produce a large cloud of vapor. the new ijoy vape atomizer kit will bring you a better vaping experience.